When I look at these photos, all I can do is cry. 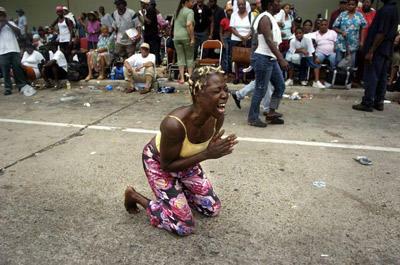 Still after being obsessed with Hurrican Katrina, I cant help but wonder how would I feel if I was one of those people in New Orleans. I try to take myself to the photos to the scene of everthing, and try to give thought as if I was there, and it breaks me. Even though I am not there to actually experience what those folks been through, the pain feels so real. I can imagine my family trapped in side their homes, not having a form of communication. Not knowing if my dad and brother is safe. Nor knowing how my mother is doing, my sisters and my nieces and nephews. When I take myself mentally, I will always come up short as to what these people went through. And still I cry. It hurts. Previous postThese kids will have you laughing! Next postIm feeling like Bonnie right about now!